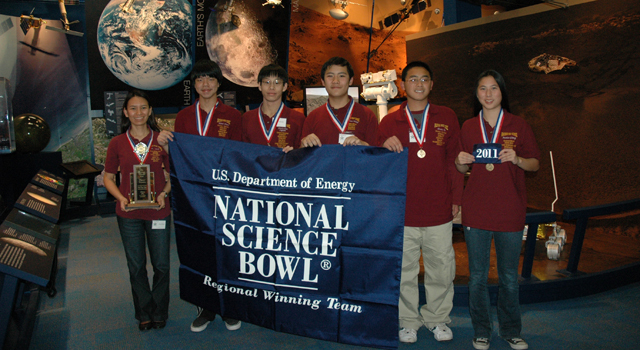 A team of five students, four competitors and an alternate, from Arcadia High School won the Regional Science Bowl competition on Saturday, Jan. 22, at NASA's Jet Propulsion Laboratory, Pasadena, Calif.
"It came down to one question at the very end," said Arcadia team captain Derek Chou. "And I remember reading about that very topic the night before!" When the final buzzer rang, the score was Arcadia 118, and 122 for Troy High School from Fullerton, Calif. The ball was in Arcadia's court and a wrong answer would mean the end of the road for them. With the championship on the line, Arcadia rose to the occasion and answered correctly, earning 10 points for a final score of Arcadia 128 and Troy 122. "When the moderator said, 'Correct,' our bodies were flooded with epinephrine," said Arcadia High School student Andrew Wang. 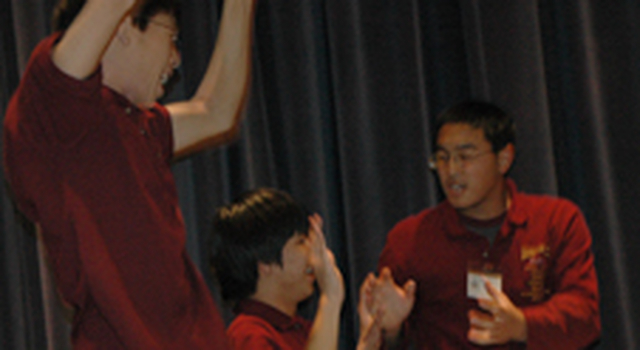 Wang, Chou and their teammates will receive an all-expense paid trip to Washington, D.C., to participate in the National Science Bowl finals. This year's finals will run from April 28 to May 2. 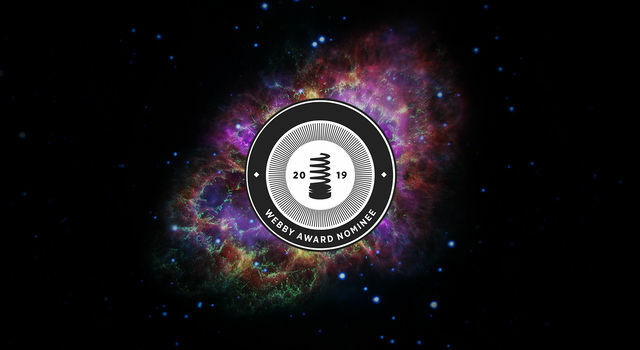 The national competition is sponsored by the U.S. Department of Energy. 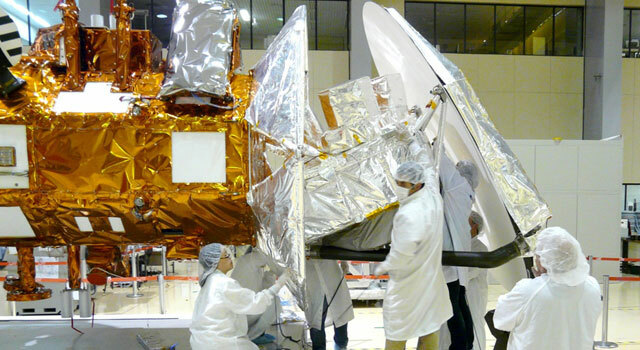 The regional competition is held at JPL, a division of the California of Institute of Technology in California. 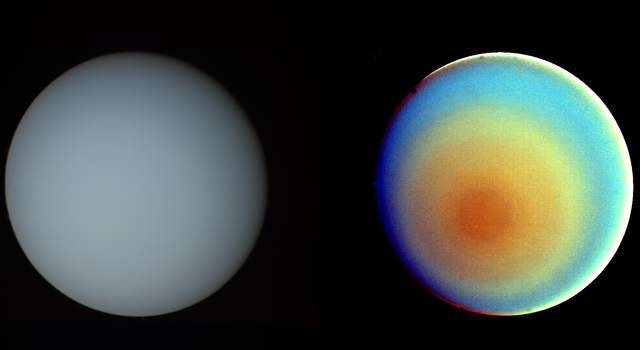 JPL hosts one of the two Southern California regional events. This year, 23 teams competed at the JPL event. Each team was made up of four students, a student alternate and a teacher who served as an advisor and coach. The students answered multiple-choice or short-answer questions in biology, chemistry, physics, mathematics, and Earth and space sciences. 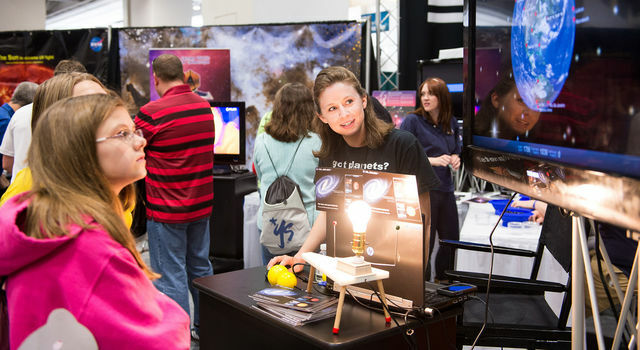 The competition, which attracts about 17,000 middle and high school students nationwide, is designed to inspire students to pursue a career in science or math. 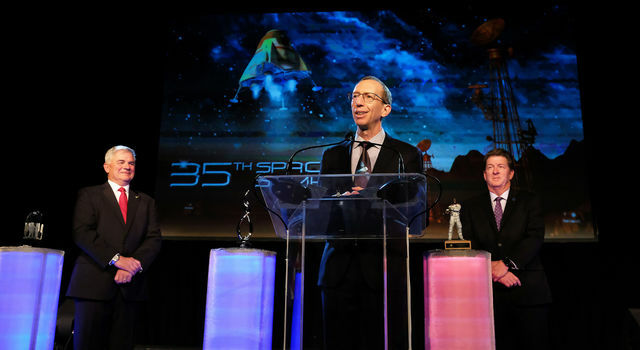 The historic mission is the 2019 winner of the John L. "Jack" Swigert, Jr., Award for Space Exploration.